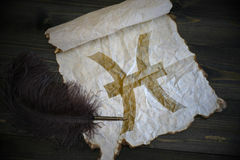 423 pisces symbol stock images are available royalty-free. 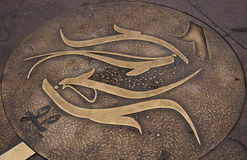 Pisces zodiac symbol in stone. On grass with nature bokeh light background Pisces zodiac sign, astrology symbol. Watercolor background illustration set. Isolated horoscope illustration element. Pisces zodiac sign, astrology symbol Pisces symbol. 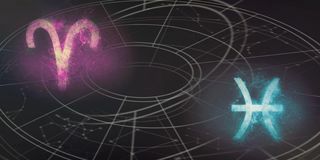 Circular pisces symbol on the dark background Pisces symbol. 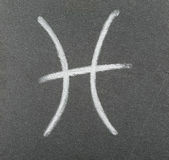 Spark is isolated on black background Pisces, Astrology symbol two fishes. 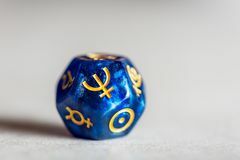 Astrology symbol two fishes on white background Astrology Dice with zodiac symbol of Pisces and its ruling planet Neptune. 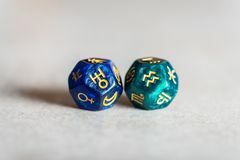 Astrology Dice with zodiac symbol of Pisces Feb 19 - Mar 20 and its ruling planet Astrology Dice with zodiac symbol of Pisces. 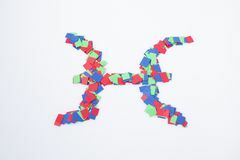 Feb 19 - Mar 20 Zodiac symbol pisces multicolor isolated in a white background. 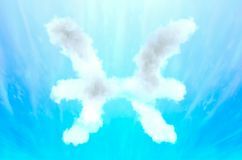 Composition Astrology symbol in cloud material - Pisces. 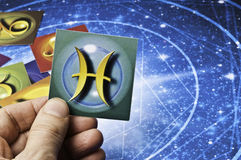 Three dimensional rendered illustration of unique model Astrology Pisces. 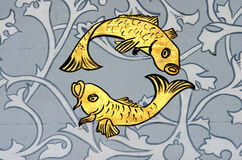 Hand holding an astrology card with symbol of sign of Pisces Pisces the fish zodiac sign. Ancient wall painting of a zodiac symbol of Pisces Pisces zodiac sign. 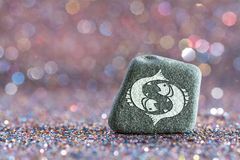 A green stone with Pisces zodiac sign on glitter boke light background Horoscope. 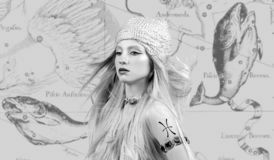 Pisces Zodiac Sign, Beautiful woman Pisces on zodiac map. Pisces Zodiac Sign. Astrology and horoscope concept, Beautiful woman Pisces on zodiac map Aries zodiac symbol in stone. On grass with nature bokeh light background Zodiac - Pisces or fish. 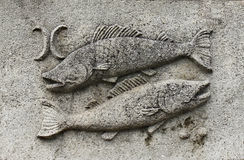 A stone relief Pisces Zodiac Sign. Pisces Horoscope Sign. Template text room. Zodiac Sign Pisces and Aries horoscope signs compatibility. Night sky Abstract background. 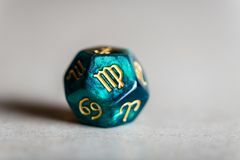 Zodiac sign - Pisces. Elements of this image furnished by NASA Zodiac sign pisces. The zodiac sign pisces drawn on a plate of slate Pisces and Aries. signs of the zodiac and heart. wooden backgrou. Nd. card. characters. 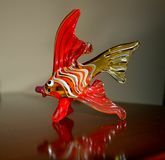 unusual handwork Pisces. Astrology card with zodiac sign of pisces in a blue jeans pocket Pisces sign of the zodiac on vintage paper with old pen on the wooden desk. Pisces sign of the zodiac on vintage paper with old pen on the wooden texture desk Plasticine Pisces. 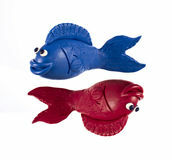 Pisces, sign of the Zodiac made of plasticine Leo zodiac symbol in stone. 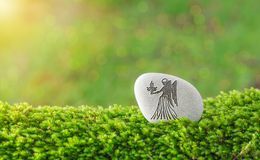 On grass with nature bokeh light background Virgo zodiac symbol in stone. On grass with nature bokeh light background Cancer zodiac symbol in stone. On grass with nature bokeh light background Gemini zodiac symbol in stone. On grass with nature bokeh light background Taurus zodiac symbol in stone. On grass with nature bokeh light background The sign of the zodiac. Pisces. 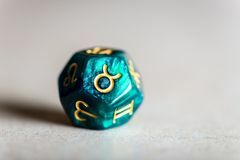 The sign of the zodiac. Two pisces PISCES ZODIAC SIGN. The picture shows PISCES ZODIAC SIGN Scorpio zodiac symbol in stone. On grass with nature bokeh light background Aquarius zodiac symbol in stone. On grass with nature bokeh light background Sign of the zodiac pisces. 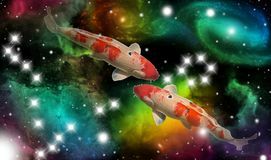 Portrait of two fish in a colorful universe with some galaxies and stars and the zodiac sign pisces 2019 Pisces Predictions. 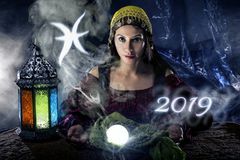 Psychic or fortune teller with crystal ball and horoscope zodiac sign of Pisces Capricorn zodiac symbol in stone. On grass with nature bokeh light background Sagittarius zodiac symbol in stone. 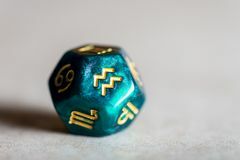 On grass with nature bokeh light background Astrology Dice with symbol of the Sun. 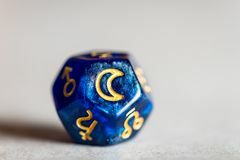 On grey background Astrology Dice with symbol of the Moon. On grey background Astrology and horoscope, Pisces Zodiac Sign. Beautiful woman with long hair. Pisces Zodiac Sign. 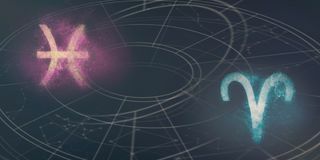 Astrology and horoscope concept. Beautiful woman with long hair Pisces Zodiac Sign. Night sky Astrology women. 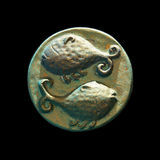 Astrology Sign of the Zodiac fish- Pisces. 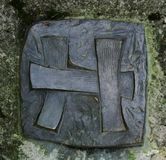 Sign of Pisces- sculpture from metal placed in stone. 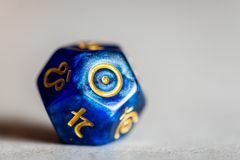 The `Sun path` in Å tramberk, Czech Republic Astrology Dice with symbol of the planet Saturn. 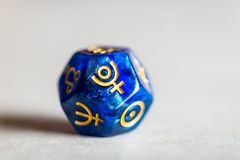 On grey background Astrology Dice with symbol of the planet Saturn. 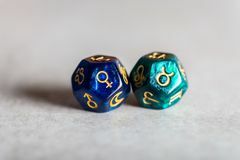 On grey background Astrology Dice with zodiac symbol of Aquarius and its ruling planet Uranus. 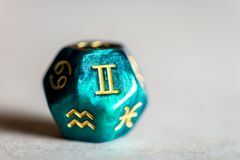 Astrology Dice with zodiac symbol of Aquarius Jan 20 - Feb 18 and its ruling planet Astrology Dice with zodiac symbol of Scorpio and its ruling planet Pluto. 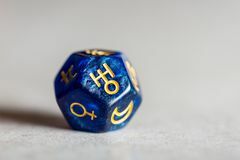 Astrology Dice with zodiac symbol of Scorpio Oct 23 - Nov 21 and its ruling planet Astrology Dice with zodiac symbol of Sagittarius and its ruling planet Jupiter. 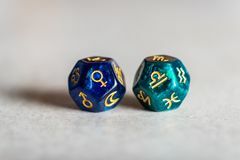 Astrology Dice with zodiac symbol of Sagittarius Nov 22 - Dec 21 and its ruling Astrology Dice with zodiac symbol of Capricorn and its ruling planet Saturn. 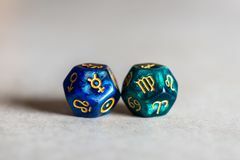 Astrology Dice with zodiac symbol of Capricorn Dec 22 - Jan 19 and its ruling planet Astrology Dice with zodiac symbol of Libra and its ruling planet Venus. 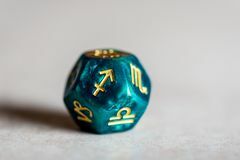 Astrology Dice with zodiac symbol of Libra Sep 23 - Oct 22 and its ruling planet Venus Astrology Dice with zodiac symbol of Virgo and its ruling planet Mercury. 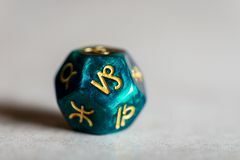 Astrology Dice with zodiac symbol of Virgo Aug 23 - Sep 22 and its ruling planet Astrology Dice with zodiac symbol of Leo and its ruling celestial body the Sun. 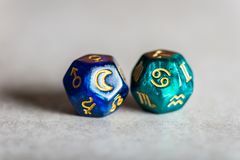 Astrology Dice with zodiac symbol of Leo Jul 23 - Aug 22 and its ruling celestial Astrology Dice with zodiac symbol of Gemini and its ruling planet Mercury. 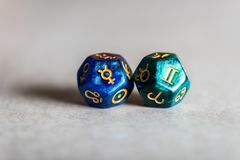 Astrology Dice with zodiac symbol of Gemini May 21 - Jun 20 and its ruling planet Astrology Dice with zodiac symbol of Cancer and its ruling celestial body the Moon. 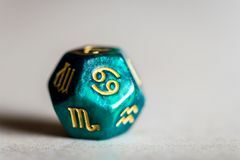 Astrology Dice with zodiac symbol of Cancer Jun 21 - Jul 22 and its ruling Astrology Dice with zodiac symbol of Aries and its ruling planet Mars. 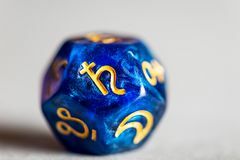 Astrology Dice with zodiac symbol of Aries Mar 21 - Apr 19 and its ruling planet Mars Astrology Dice with zodiac symbol of Taurus and its ruling planet Venus. 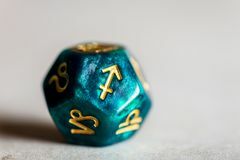 Astrology Dice with zodiac symbol of Taurus Apr 20 - May 20 and its ruling planet Venus Astrology Dice with symbol of the planet Neptune. 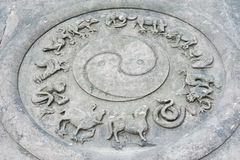 On grey background Bas-Relief with YinYang symbol and twelve animals. Of the chinese chinese zodiac in Chengdu, China Astrology Dice with zodiac symbol of Virgo. 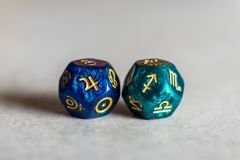 Aug 23 - Sep 22 Astrology Dice with zodiac symbol of Aries. 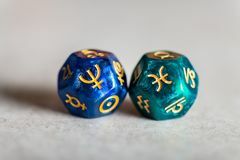 Mar 21 - Apr 19 Astrology Dice with symbol of the planet Pluto. 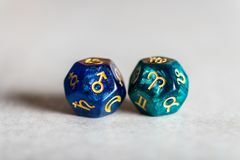 On grey background Astrology Dice with symbol of the planet Jupiter. 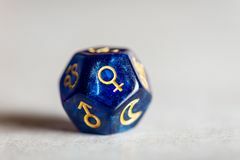 On grey background Astrology Dice with symbol of the planet Mercury. 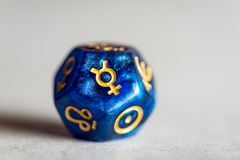 On grey background Astrology Dice with symbol of the planet Venus. 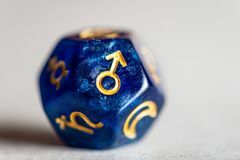 On grey background Astrology Dice with symbol of the planet Mars. On grey background Astrology Dice with zodiac symbol of Sagittarius. 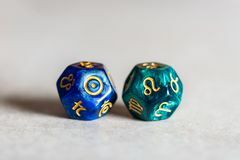 Nov 22 - Dec 21 Astrology Dice with zodiac symbol of Gemini. 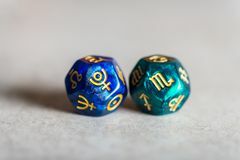 May 21 - Jun 20 Astrology Dice with zodiac symbol of Aquarius. 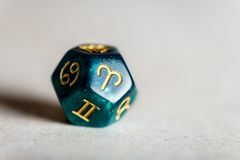 Jan 20 - Feb 18 Astrology Dice with zodiac symbol of Capricorn. 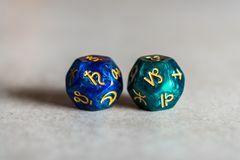 Dec 22 - Jan 19 Astrology Dice with zodiac symbol of Sagittarius. 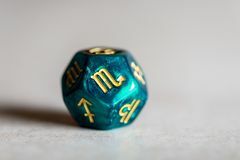 Nov 22 - Dec 21 Astrology Dice with zodiac symbol of Scorpio. 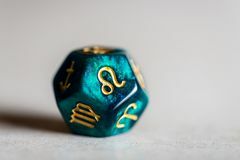 Oct 23 - Nov 21 Astrology Dice with zodiac symbol of Libra. 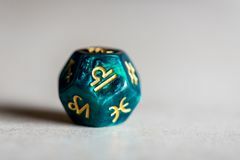 Sep 23 - Oct 22 Astrology Dice with zodiac symbol of Leo. 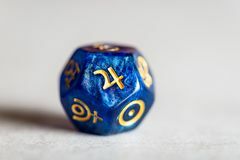 Jul 23 - Aug 22 Astrology Dice with zodiac symbol of Cancer. 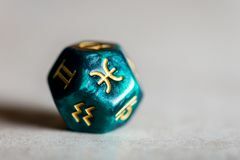 Jun 21 - Jul 22 Astrology Dice with zodiac symbol of Taurus. 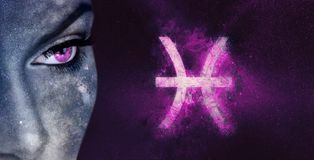 Apr 20 - May 20 Astrological sign of the zodiac Pisces. 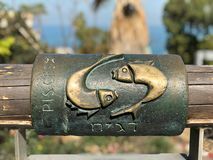 Pisces horoscope sign English and Hebrew metal pisces astrological sign on Wishing Bridge in Old City of Yaffa Israel. English and Hebrew pisces metal astrological sign on Wishing Pisces astrological sign on Wishing Bridge in Old City of Yaffa Israel. English and Hebrew pisces metal astrological sign on Wishing Bridge in Old City of Yaffa Astrological sign of the zodiac Pisces. 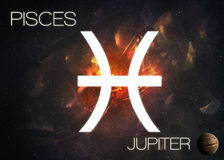 Pisces horoscope sign Pisces Horoscope Sign. Astrology women night sky background. 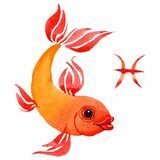 Pisces Horoscope Sign Pisces Zodiac Sign. Astrology women night sky background. Pisces Zodiac Sign. 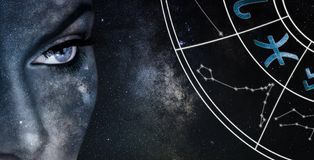 Astrology woman night sky background. 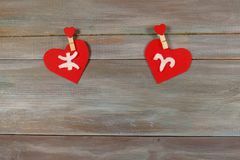 Astrology Aries and Pisces horoscope signs compatibility. Night sky Abstract background.